Prolonged exposure to the sun causes keratin degradation. This causes hair to become damaged, uneven, and lose its elasticity. This is a common cause of hair loss. There are many ways to restore dry, dry hair immediately after the sunburn. It is never too late to cure your hair. One of the most applied methods today is to use sun protection hair products. Why do we need to use sun protection hair products? 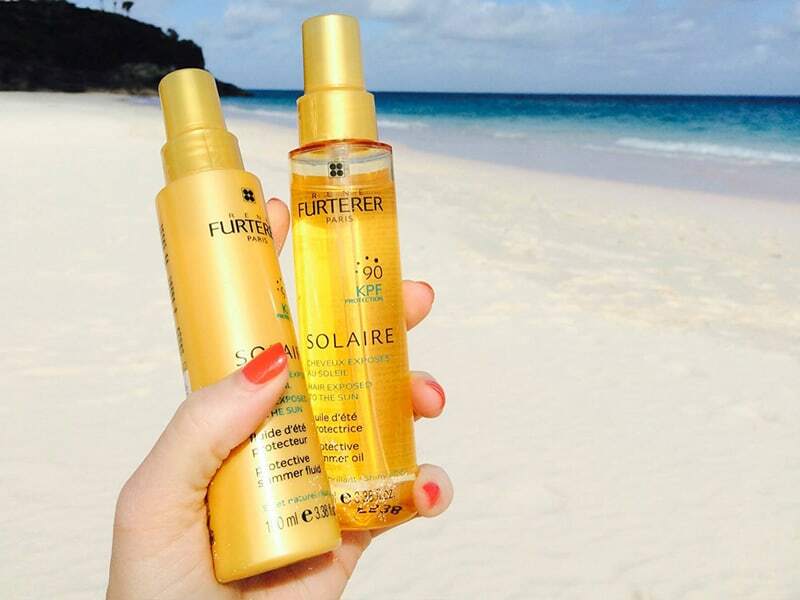 1 Why do we need to use sun protection hair products? Hair not only creates an impressive beauty outside, but it also helps our body to be protected when it is cold, regulating the body when the weather temperature rises. It acts as a barrier between the skin and the sun’s rays. 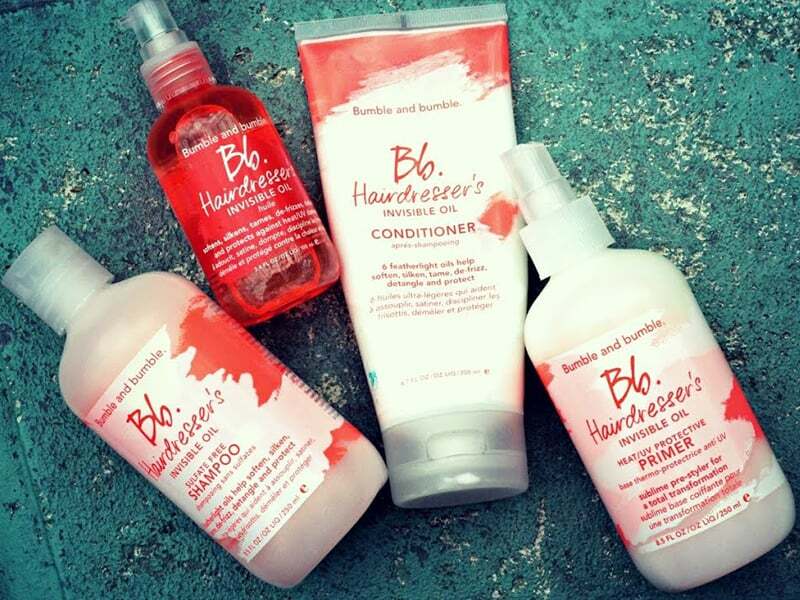 Moisture-intensive hair care products increase smoothness. 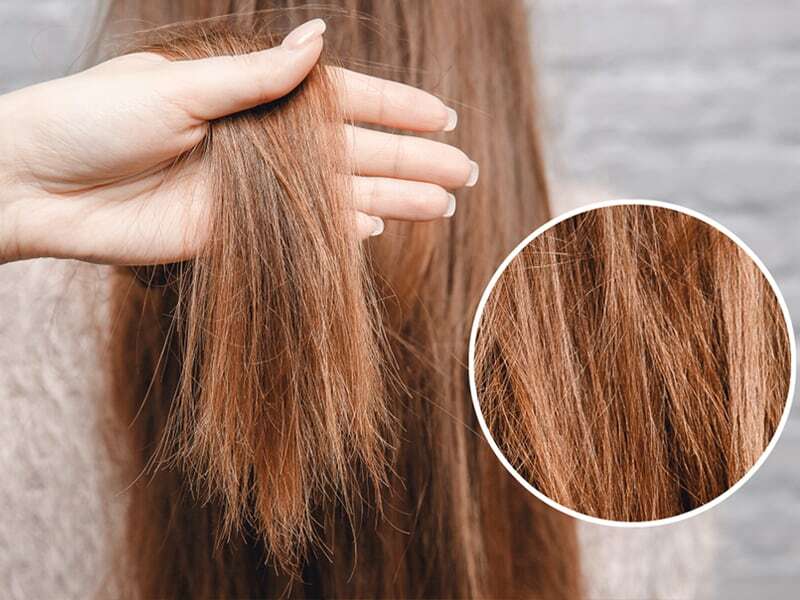 Protein supplement treatments at the salon are considered only as temporary hair recovery methods, but they cannot guarantee the permanent beauty of the hair. The only way to permanently improve damaged hair is to remove all the damaged hair and wait for it to regrow. Instead of having to cut off all damaged hair, why don’t we protect the hair so thoroughly before the sun-induced factors? 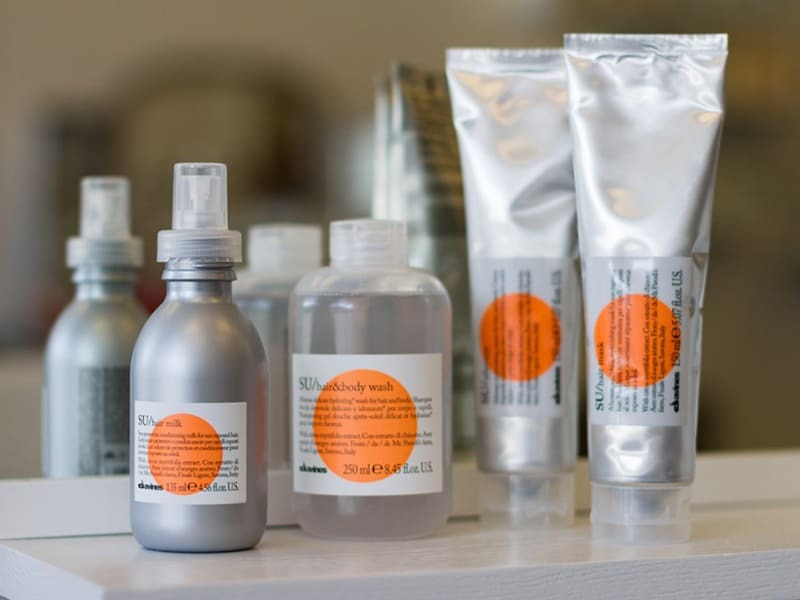 Take a look at products to keep your hair, scalp and hair follicles healthy under UV rays. 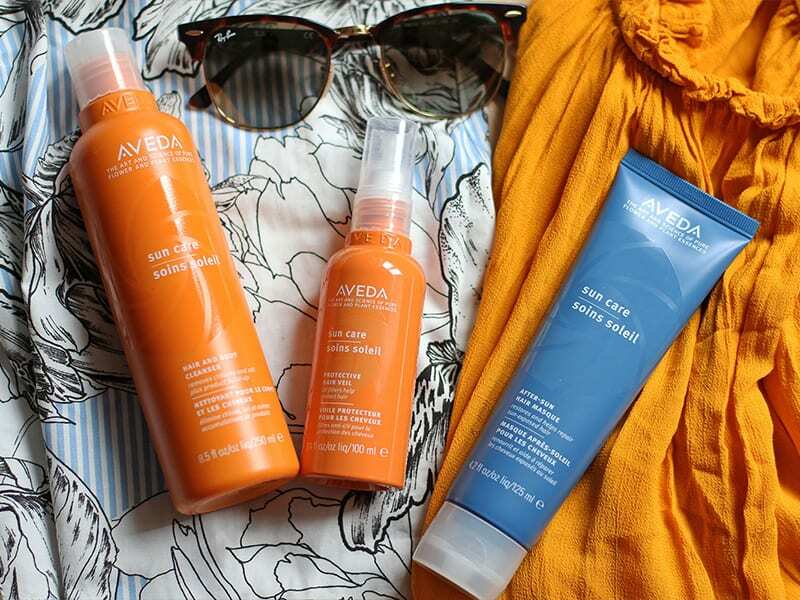 A convenient bottle for travel, Aveda’s sun protection hair products are always ready to be a great help to protect your hair in the sun. Winter essential oils and cinnamon in the formula are like invisible armor against the harmful effects of UVA / UVB rays, while antioxidants work to remove free radicals – the culprit causing aging problems. This is a sun protection product for hair with extremely light texture, without greasy hair. 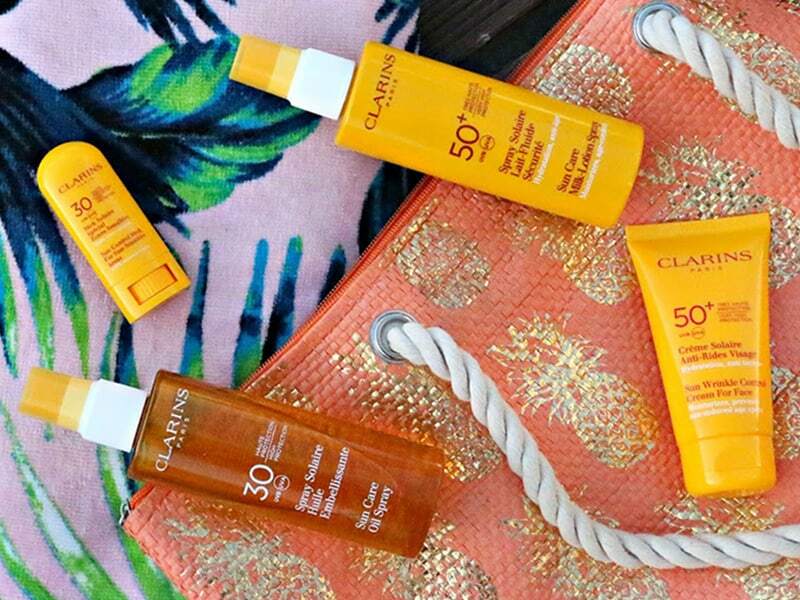 The product formula protects hair from UV damage while blocking moisture during sun exposure. Ingredients containing vitamin complexes provide essential nutrients for healthy hair and anti-breakage, split ends. How to use: You should spray before going out 10-20 minutes so that the product has enough time to cover the hair. Then spray again after every 2-3 hours. The balm has a simple formula including castor oil, sesame oil, hair moisturizer, and sunscreen. This product, one of the best sun protection products for hair comes from Rene Furterer; it helps nourish and protect hair from hot summer days with a high UV index. 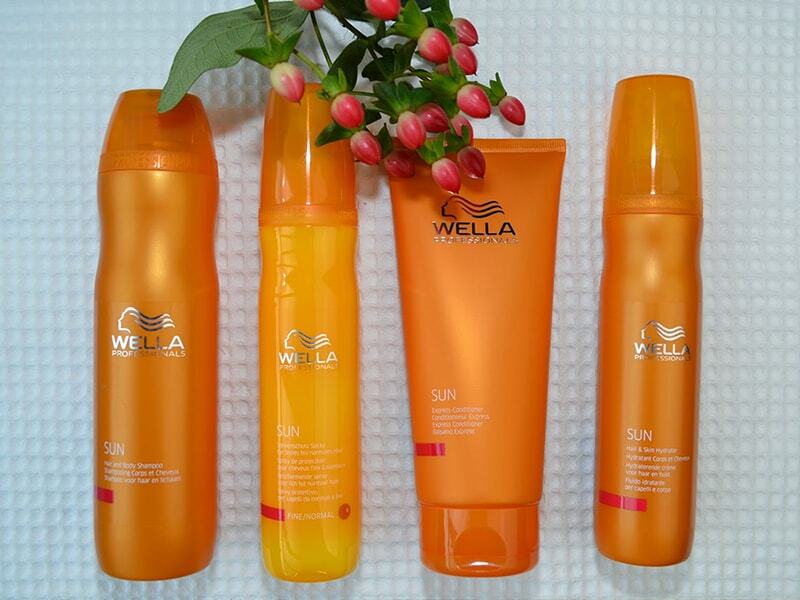 One of the best sun protection hair products is Suitable for all hair types. Swim cap’s formula is a must-have for all swimmers and outdoor enthusiasts. It contains UV protection to protect against the harmful rays of the sun that can lead to hair breakage and color fading. This is a premium product with SPF 50 + / PA +++ that can help you prevent up to 99% of UVA, UVB rays affecting the skin. Also help replenish moisture, support skin whitening effectively. Smooth, quick-absorbing, non-sticky cream makes you comfortable with outdoor activities: swimming, traveling, and so on. The creamy texture is safe for skin, including sensitive skin. Spray a light mist on dry or damp hair for daily sun exposure. The composition of avobenzone and other chemical sunscreen ingredients in hair spray products helps prevent damage from the sun, in addition to natural extracts such as soybeans and palm fruits that help nourish and make moisten every strand of your hair. Losing Hair At 25 Male Will No Longer Be A Nightmare If You Know This! This summer, the girls could not ignore this product. This is one of best sun protection hair products for hair designed to create a protective film against UVA and UVB rays that lock the hair color, preventing dyed hair from being affected by such factors as sunlight, seawater, pool water, high temperature. Sunflowers extract protects the hair colorfast, lively, and adds smooth and shiny moisture to the hair. The hair after spraying this product becomes fresh and shiny like newly dried hair at the salon. 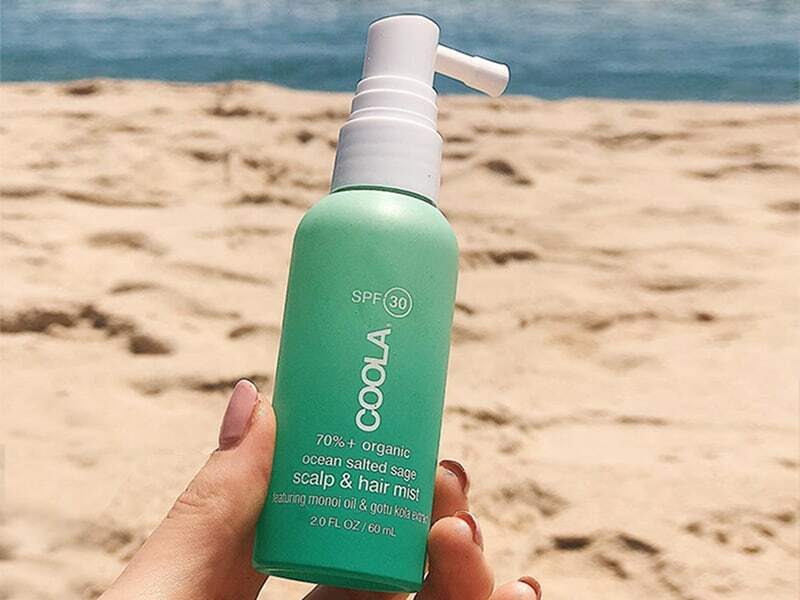 When sprayed on the body and hair, the oil layer with UVA and UVB 30 anti-covering index create a protective layer for skin and hair without loss of moisture before the impact of sunlight, seawater and pool water. It also provides nutrients that nourish the skin and smooth hair. Moreover, the oil layer also makes the skin and hair shiny and shiny, shining brightly under the bright sunshine. 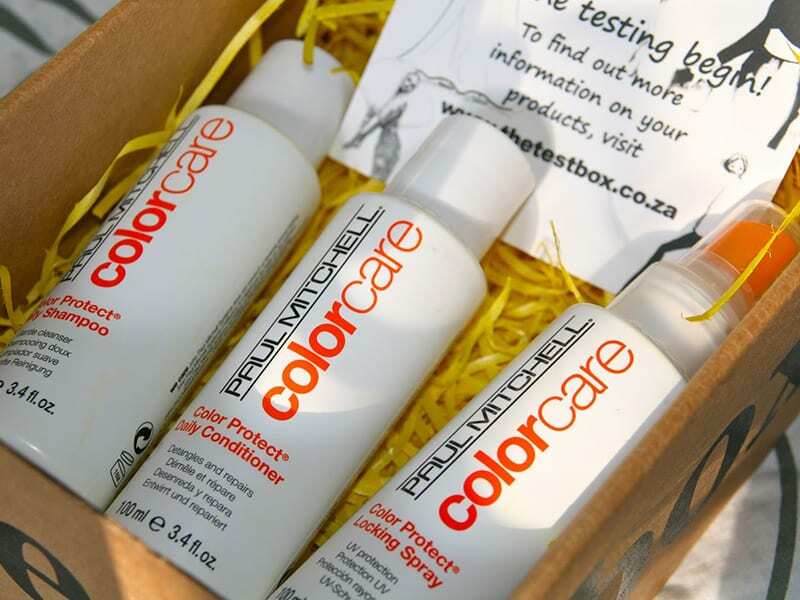 The product helps protect and care hair according to the same mechanism as a dry conditioner. 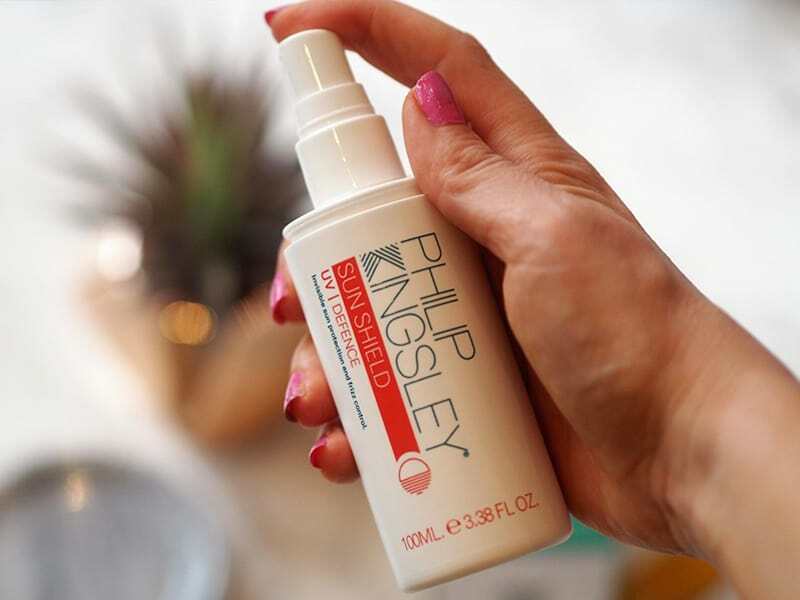 With just one step, the oil performs a variety of sunshine: moisturizing before styling, protecting from temperature during styling, the conditioner does not need to be rinsed with water, oil to create sticky, varnish and sunscreen oils for hair. Formulated with a mild liquid formula, it is fast-absorbing, rich in nutrients such as dry conditioner, smooth hair and shiny immediately. Natural ingredients such as fruit extracts are rich in antioxidant vitamin C, and Provitamin B5 deeply moisturizes hair. After spraying, fragrant hair mixed with tea flowers, mimosa flowers, apples, and pine wood. 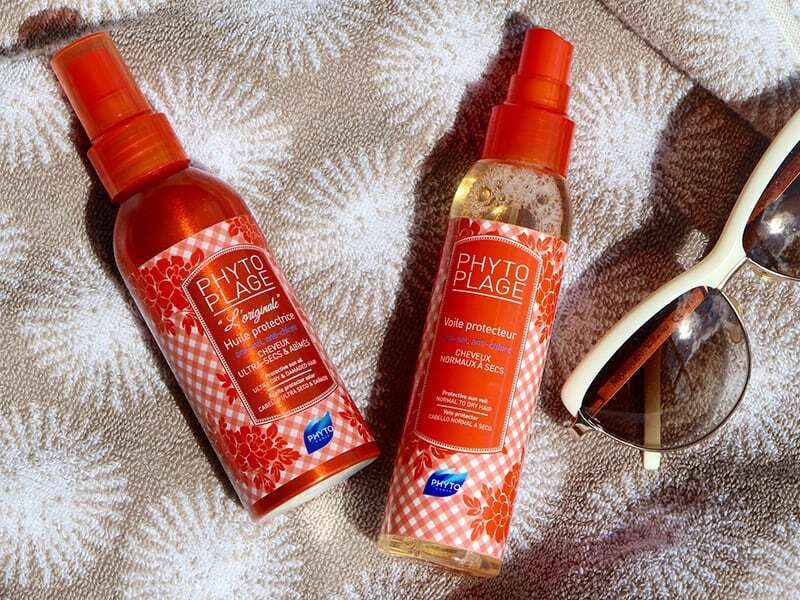 Spray before and during sun exposure, on dry or damp hair. After shampooing, spray on hair to moisturize and do not need to rinse with water. The way to use it is to straighten the spray bottle, keep it about 20 cm away from your hair and spray it on your hair. If it is a gel, put the product in the palms of your hands, rub lightly and then hold your hands and massage gently on the hair from the back. Try to avoid styling gels or sprays that contain alcohol or peroxide, which make your hair dry and absorb more sunlight. SPF for hair is usually maintained above 10, so it is recommended to spray and sunscreen several times a day if possible. Those are the best sun protection hair products we want to recommend. Hair care is just as critical as skin care, So you should try to choose the right sunscreen products for your hair to have healthy and beautiful hair.